Although a California native, Darel rediscovered his passion for art after retiring on the Big Island of Hawaii. His entrepreneurial accomplishments include design/mechanical patents, motor home and truck body design and production, steel fabrication, and convertible car conversions. At one time, he had manufacturing facilities across the United States and in Mexico. Darel and his wife, Kim, currently reside in Hayden, Idaho, but still maintain residences in Kailua-Kona, Hawaii and San Clemente, California. 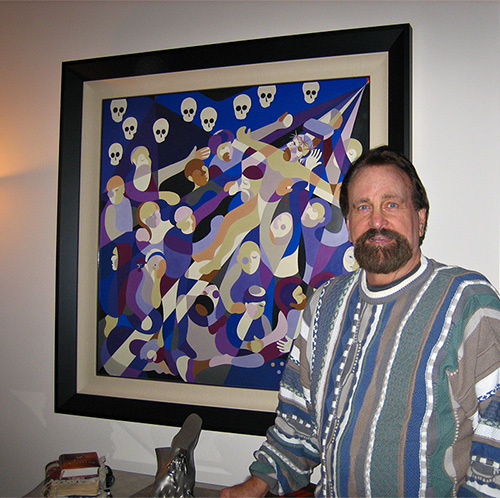 His educational background in architecture, design, and mathematics transcends into a unique abstract style. He enjoys sharing the intricacies and interpretations of the art with his four children, eight grandchildren, and two great-grandchildren. Since pursuing art again, Darel has won multiple awards at San Clemente Art Gallery shows for stone and bronze sculpture, mixed media, and acrylic painting. His most recent awards were first place in mixed media, and Best Holiday Theme in mixed media. He was invited to display 40 pieces of original work at The Marian Library Gallery in Dayton, Ohio. This special one-man show entitled When Purple Meets All Other Colors lasted two months. Located at the University of Dayton, The Marian Library/Research Institute holds the world’s largest collection of materials on the Virgin Mary, including artworks from the Vatican. Since only four to five artists worldwide are chosen to show each year, Darel considered this a great honor. Darel’s specific interest is contemporary biblical art, which is intended to be visually intriguing and spiritually significant. He is continually creating new and unusual techniques to enhance his work. 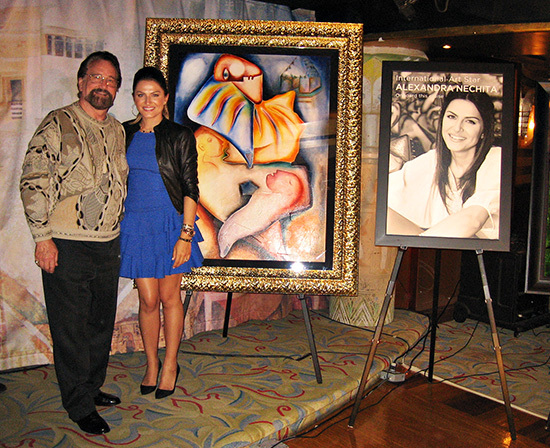 Darel Sparling and world-renowned artist Alexandra Nechita. Royal Caribbean Cruise Lines, Inc.
Alexandra Nechita was a child prodigy known as the “Petite Picasso.” Besides a remarkable artist, she is an advocate of art education, cultural enrichment, proponent of peace, and a fellow philanthropist. Ms. Nechita is one of the most famous living artists today. Alexandra Nechita, and Patrick Guyton. 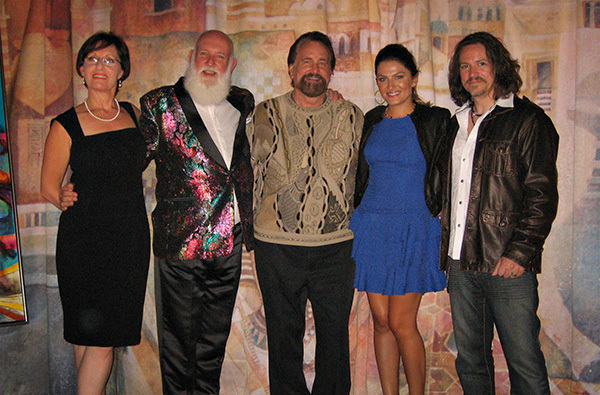 Darel with fellow artists at an on-board ship auction.